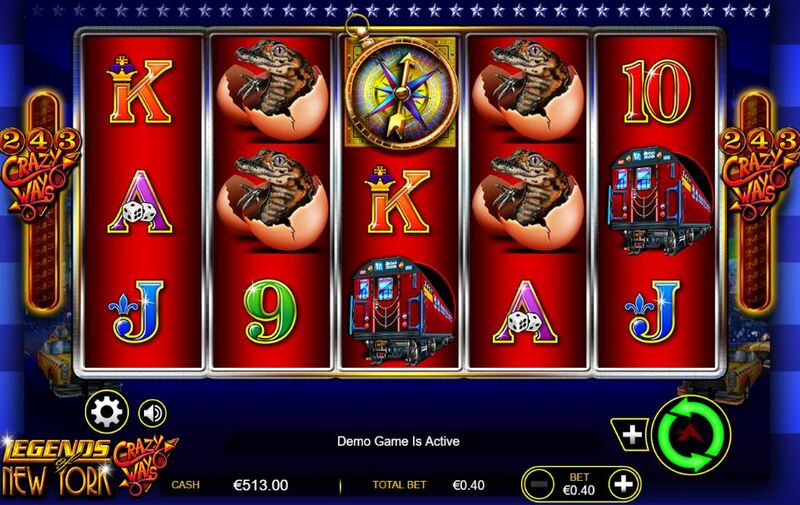 Legends Of New York slot is from Australian developer Ainsworth and is their first multiway game, similar to Aristocrat’s Buffalo and Bally’s Thunderhorn in format. There game is played on 5 reels of 3 rows each with only Gator Eggs as stacked symbols to increase the chances of winning over the slot’s 243-ways. The line pays aren’t huge as a result but you get Wilds on all reels plus a sense of humour with a Gator Egg and Gator symbols after he rumour these reptiles were breeding in the sewers! 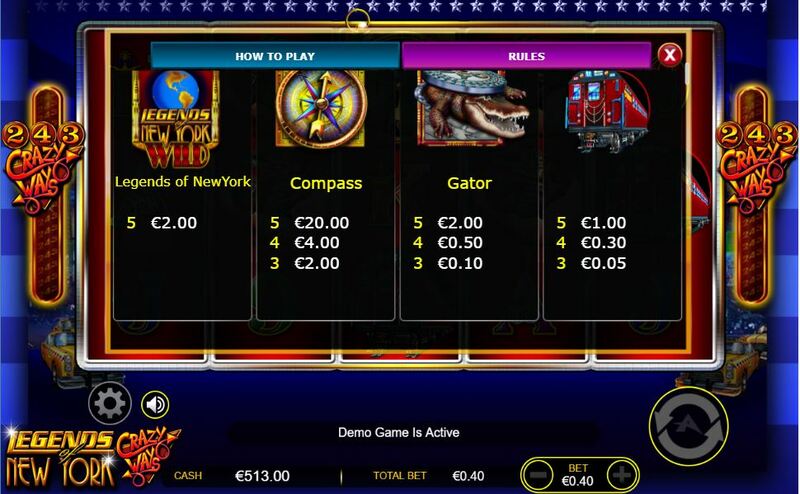 Legends Of New York slot costs 40 coins per play and your best 5 reel win is Wild or Gator at 5x your bet unless you hit 5 game logo scatters and earn 50x bet. 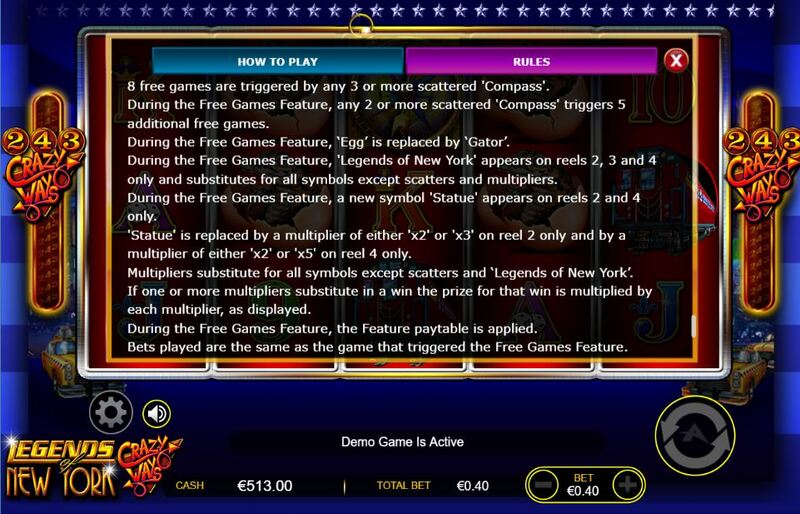 Three or more compass scatters are necessary to get 8 free games which can be retriggered and you even get 5 more for just two during this bonus. The Statue of Liberty now makes an appearance on reels 2 and 4 as an extra multiplying Wild although now the standard Wild only appear on reels 2, 3 and 4. 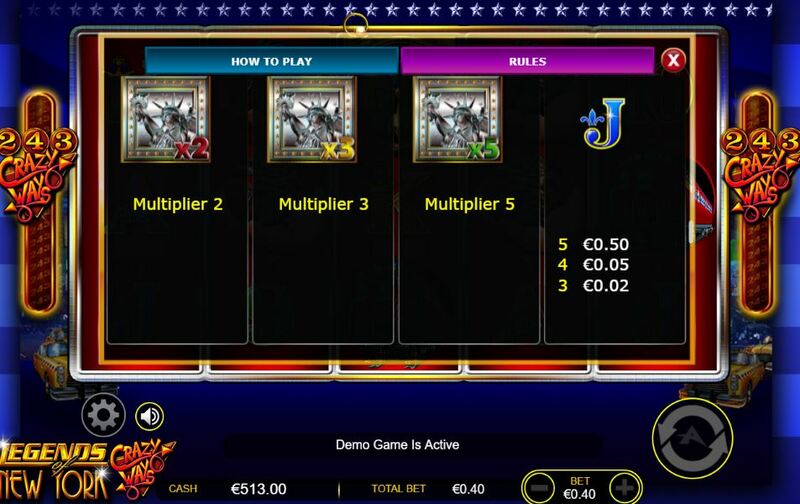 On reel 2 it can become either a 2 x or 3x multiplier, on reel 4 a 2x or 5x multiplier thus making it possible to have wins multiplied 15x!